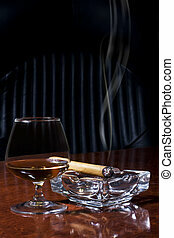 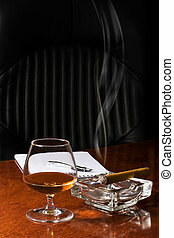 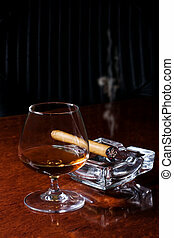 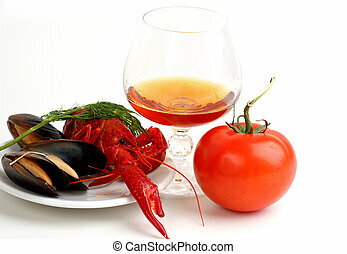 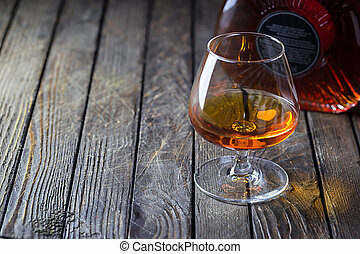 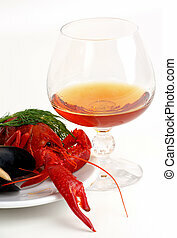 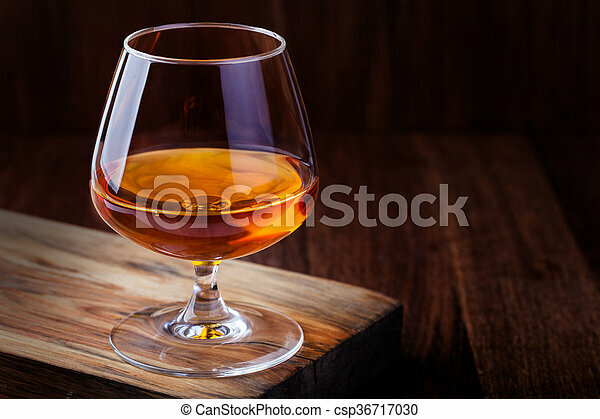 Cognac on a wooden background. 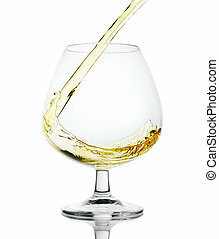 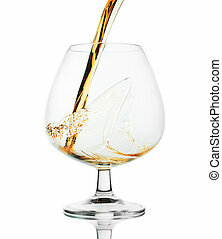 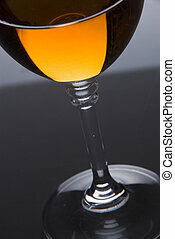 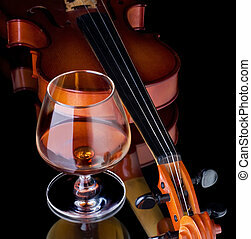 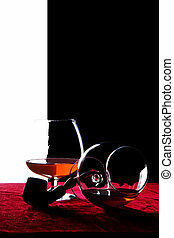 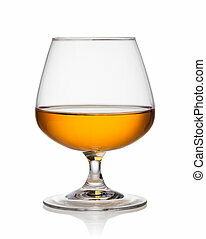 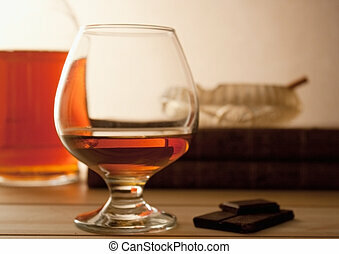 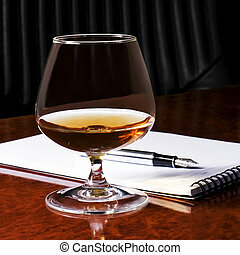 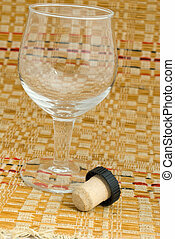 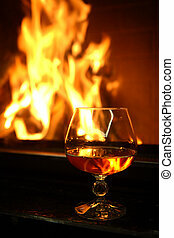 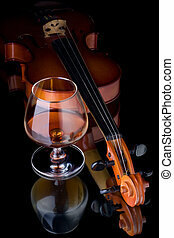 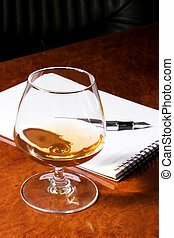 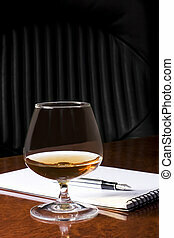 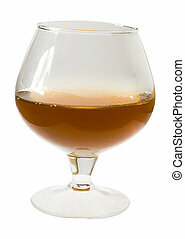 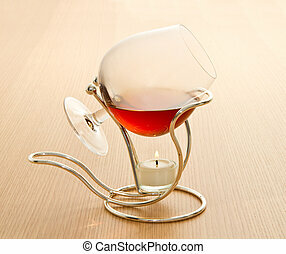 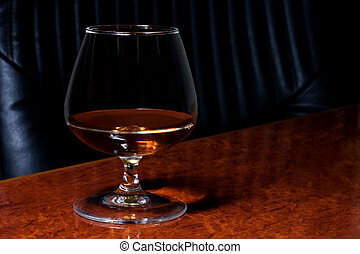 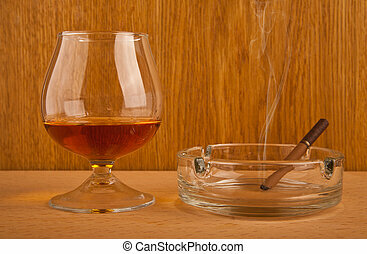 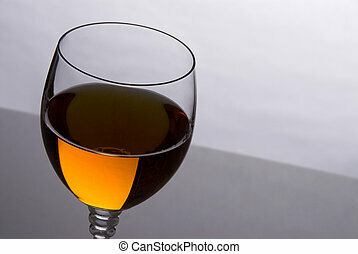 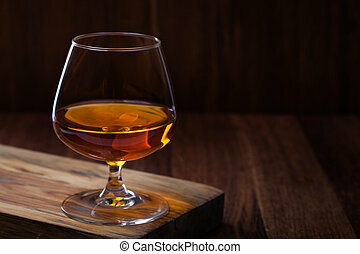 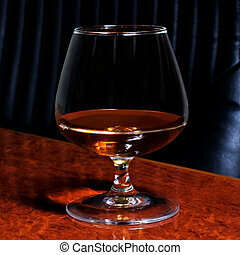 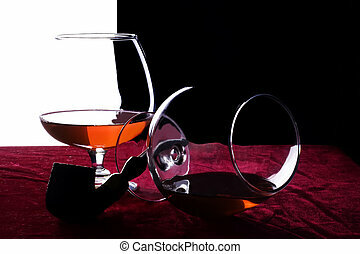 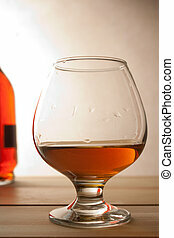 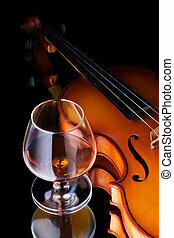 Glasse of brandy or cognac and bottle on dark background. 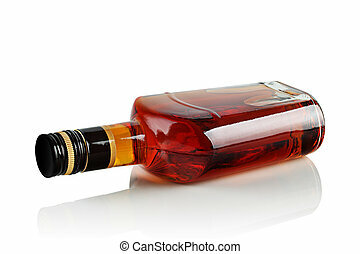 bottle of booze on a white background.